This isn’t the first article I’ve written on using apostrophes, and given the confusion surrounding them, it probably won’t be the last. But since I can’t know who will read what I post or who needs to know this info, I’ll keep trying to figure out new ways to present old information. So. Apostrophes. A tiny mark that shows up like a long-lost relative: Sometimes we’re happy to see it, but other times we’re not. And sometimes we wonder where it is, because there’s a situation crying out for it. 1. Apostrophes must be in contractions of words. If we remove one or more letters, we can’t just leave the remaining parts of the original word hanging out without them. We’ll either have a completely different word, or the letters that are left won’t make complete sense. 2. The same idea applies to shortening a year. We remove the first two numbers of the four in the original form, so that’s where the apostrophe has to go. The words “the class of 60” literally means there were 60 kids in the class. It is completely different from “the class of ’60,” which is short for 1960 (or 1860 or whatever year you’re writing about that ends in 60). 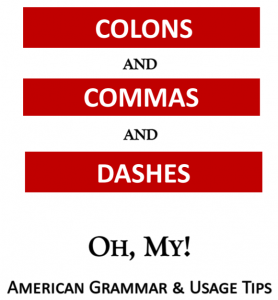 Basic rule: To form a contraction, place the apostrophe where the original letter(s) or figure(s) were. In that exact spot. Nowhere else. 3. We add an apostrophe to create the possessive form of nouns. Jim’s house = his house. Susan’s hair = her hair. 4. 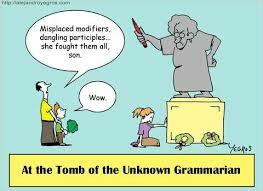 We do NOT add an apostrophe to create the possessive form of pronouns. Those books are theirs = their books. 5. We do NOT use an apostrophe to create a plural noun. NO: The cat’s were all over the place. YES: The cats and dogs and rabbits were everywhere! NO: The Smith’s live here. YES: The Smiths live here. Does this post help? What questions do you still have?